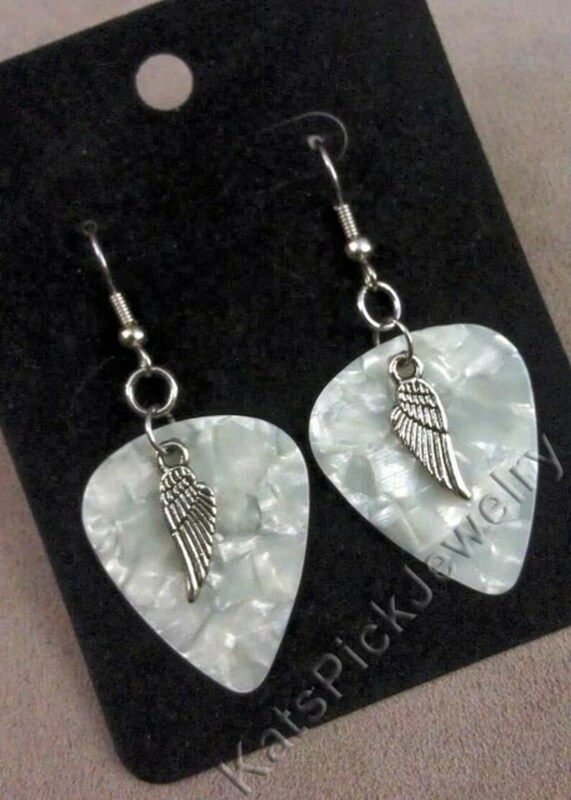 Hand crafted earrings made of genuine guitar pick on surgical stainless steel french hook with rubber backs. Pearl picks vary slightly...please be aware that patterning may vary slightly from the photos. These earrings can also be made with nickel free hoops (approximately 3/4" diameter) or nickel free lever back earrings. If you would like one of these alternatives, just let me know at checkout.